This woman represents the highest order of courtesan. 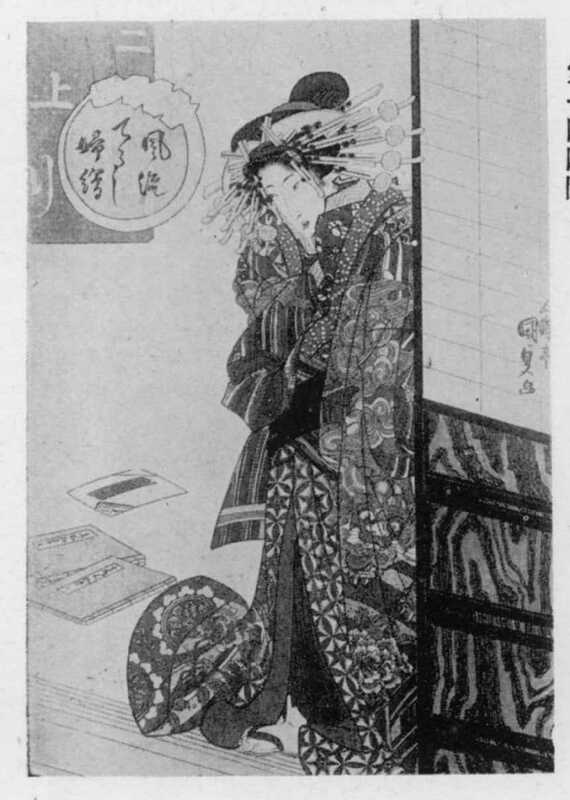 She is wearing a robe decorated with a gamboling lion among peonies. The stripes represent a turbulent waterfall. There was at least one other later edition of this print. In that one many of the fine black lines of the woodblock have broken and there is no publisher's seal. In all likelihood, this was a popular series. 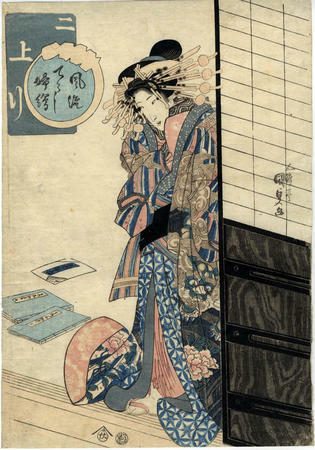 There is another print in the Lyon Collection of a high ranking courtesan wearing a kimono decorated with a lion and a peony. That one is by Eizan and can be found at #731.